If cleaning is not something you like to do or just never have the necessary time to take care of this work, you can rely on our company to provide it. We offer a number of cleaning services to the residents of Fulham SW6 which are provided at low prices. You can rely on our team of experienced and skilful cleaners to do ensure the healthy atmosphere in your home and commercial property. They will sanitise your carpets, sofas, cooking appliances, furniture, rooms and rented flat. Professional Cleaning Services from Bettys Cleaning Fulham! If you are in the final days of you lease and your contract is about to expire, you can use our end of tenancy cleaning services. They will ensure you the receiving of your deposits from your landlord. You can take advantage of our spring cleaning in the beginning of the warm season to refresh your home. We offer professional cleaning of carpets and sofas and complete removal of stains and odours of every nature. Our cleaning staff provides highly effective dry cleaning, hot water extraction and deodorising of carpets and upholstery. They apply the most efficient and saving the fabrics methods for sanitising. 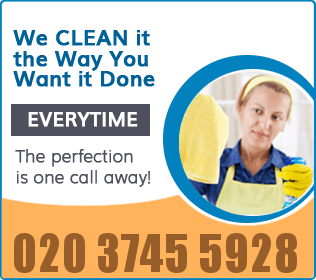 Order the cleaning services which you need that we offer in Fulham SW6 at reasonable prices. You can use our domestic cleaning services to keep your rooms hygienic and tidy. Our cleaning maids will come to do the necessary chores whenever suits you and your family. They can do the housekeeping and cleaning work for which you don’t have time. Our cleaners is at your disposal to ensure the necessary hygiene in your working place, sanitising your office every week or whenever you prefer. The cleaning services that we offer in SW6 Fulham are of top quality.